The festive season is in the air! The towns and villages in Nagaland have never looked as bright and cheery as they are now, flooded with Christmas lights and decorations, food and fun. However, as we celebrate this season, let us also make sure that the true meaning of Christmas is not lost on us and keep our Saviour close to our hearts. Christmas is supposed to be a special time of celebration and joy. It’s a time when families get together and recall old memories and create new ones. We give presents to many family and friends and they do the same – it’s a wonderful tradition. But in the midst of all our Christmas festivities we may forget that it is Jesus’ birthday we’re celebrating. For many people, Christmas is just another holiday. Even those of us who know the real meaning of Christmas have to fight against the tendency to get caught up in the busyness and frenzy. In the midst of all the marketing, Christ becomes an afterthought and frequently gets left away in the manger. We are so busy shopping for gifts, preparing and hosting dinners or get togethers, writing and sending cards, that we forget the greatest gift that God, the Father, has given us- the gift of our Lord Jesus Christ. As it is, the world we live in makes it a challenge to remember Christ even though it is Christmas. The commercialism of Christmas is a major distraction. During the Christmas season we are bombarded with advertisements on television, in newspapers and magazines. The noise, glitter, shopping hype and commercialism make it easy for us to take our eyes off the true meaning of Christmas and also Christ. Don’t get me wrong! I do love this season, and with all the lights and festivities, I find this time of the year magical. I love celebrating Christmas with family and friends but there is much more to it than just that. I want to make it meaningful. I want Jesus to be the focus this Christmas. I want my family, friends and neighbors to know what the day and celebration is really about. They won’t hear it at school, colleges, or see it in commercials. They will know from us if we live and show an example to this new generation. If you carefully observe society today you will find very few who know the true meaning of Christmas. 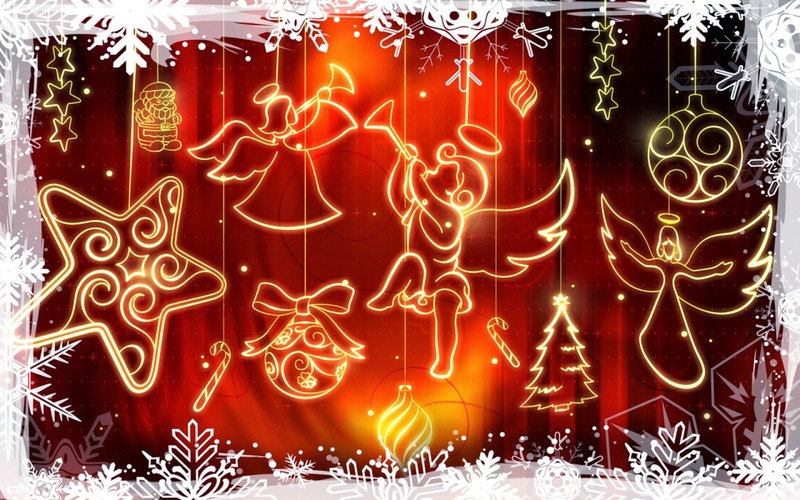 Christmas celebration has become a fashion or decoration competition in the society. Most of the people think that by cleaning and decorating their homes, wearing new clothes, organizing parties, helping the needy, attending church and fellowship, singing carols, etc., Christmas can be observed. These are secondary things and unimportant obligations in the Lord’s sight. If we think and practice these as if they were the ends in themselves, then we are wrong. Celebration of Christ’s birth has to mean much more than all these. I want to draw your attention to the first Christmas more than 2000 years ago. Our Lord Jesus Christ was born among his own people, but they were not ready to receive Him, nor believed or accepted Him. In spite of more than 300 prophecies (Isaiah.7:14, Micah 5:2,) about Jesus in the Old Testament, no one was ready to receive Jesus! There was no room for Him, either physical or in the hearts of the people. “He came to that which was his own, but his own did not receive him.” (John 1:11). If we compare the way we are celebrating Christmas, we can easily tell how different it is from the first unprepared Christmas. Will our lives, our families be prepared to receive Him this Christmas or will we still continue to repeat the same blunder of telling the Son of the Most High God that there is no room for Him in our lives, this year too? 1 John 5:11, 12 says, “And this is the testimony: that God has given us eternal life, and this life is in His Son. He who has the Son has life; he who does not have the Son of God does not have life”. We cannot celebrate Christmas meaningfully if we do not have Christ in our lives. Jesus came to give us salvation, which is eternal life, so then, how can our celebration of Christ’s birthday be complete without Christ in our heart? The Holy Bible says, “For God so loved the world that He gave His one and only Son, that whoever believes in Him shall not perish but have eternal life.” (John 3:16). Christmas should remind us of the matchless gift ever that Our Heavenly Father gave us-our Lord and Savior, Jesus. God sending His Son to our rescue is a gift that words cannot fully comprehend. Christ came that we may have eternal life. John 1:12 says, “Yet to all who did receive Him, to those who believed in His name, He gave the right to become children of God”. Dear friends when you receive Christ, you will be “Born again to eternal life with Christ”. That is the real purpose for which Jesus came to this world: to give you and me a new everlasting life. (Is. 53:5). John 3:3 also says, “I tell you the truth, unless you are born again, you cannot see the Kingdom of God”. Unless we are saved and born again, the celebration of Christ’s birth will be meaningless. Let us open our hearts and receive the most precious gift from our heavenly Father, Jesus Himself. Having received the gift of eternal life through the Son, should we also not present our Lord and Savior a gift as we celebrate His birthday? What gift could we possibly give to Him? There is no gift as precious to the Lord as one Soul! The best gift that we can therefore offer our Savior is our hearts, our lives, our total trust. As you give Jesus your trust, make Him first in your life, give what you value to His work, and bring other people to Him. You are giving Him gifts far more valuable than the ones the Wise Men brought. So then, can we make this Christmas meaningful? Definitely! We can start by making choices that matter, choosing not to allow the urgent things that characterize the Christmas season to crowd out the important values that signify what Christmas is really about; choosing to build, nourish and cherish those we love in new ways. Christmas is “God with Us”. Christmas is Christ becoming man so that He might “give His life a Ransom for many”. Christ came to give Himself for others. Let us reevaluate our priorities in light of our relationship with Him; recommit our lives to grow in Him. Let us remember that Jesus is the reason for the Season. This Christmas, let us celebrate and share the love of Christ in our lives, our families and in our churches, for Christ Himself is what truly matters!